The Bulls’ kids Wednesday had some fun in Las Vegas. This time again on the basketball court. Well, we’re not sure what they are doing otherwise, but after two inconsistent performances and losses, the Bulls rebounded — though mostly shot — to a 95-83 victory over the Dallas Mavericks. The Bulls next play Saturday against the Detroit Pistons (3 p.m. CT) in the winner’s bracket of the tournament playoff that began Wednesday. 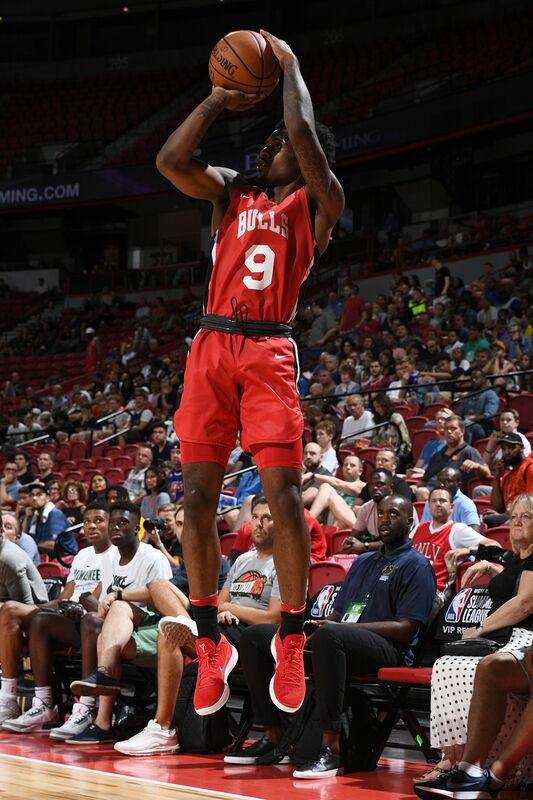 The Bulls were led again by Antonio Blakeney, who also had his most efficient game of the week with 28 points in seven of 13 shooting with four of eight threes. Blakeney leads the Bulls Summer League group in scoring at 20.3 per game. If not for his five-point game on two of 13 shooting in the second game, he would be the leading scorer in the tournament. 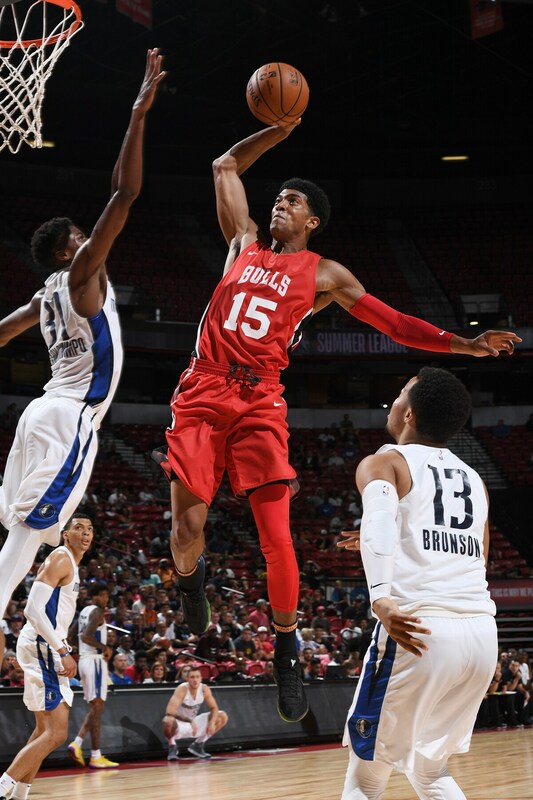 He was on a two-way G-league contract last season, but he seems likely with his continued excellent scoring to earn a place on the Bulls roster for this season. Rookie sensation Wendell Carter Jr. had yet another impressive game with 19 points on nine of 11 shooting and nine rebounds. Loyola’s Donte Ingram had his best game, scoring 13 points on three of six threes as the Bulls dominated at the three point line, making 15 of 33 after erratic long distance shooting in the first three games. And fellow first round pick Chandler Hutchison finally seemed to relax and break out with 16 points, 11 rebounds, three assists and three steals. The No. 22 pick in the first round had been rebounding and passing well, but seemed somewhat reluctant to shoot after a good first game. But Hutchison was three of seven on threes against Dallas. “I think at this level and being summer league you have to take advantage and shoot,” Hutchison admitted. “I just wanted to rebound the ball and when I got an open look shoot the ball. Chicago, why they brought me in was my ability to rebound and also start the break offensively. I’ve had that in my game and it’s something that sets me apart. 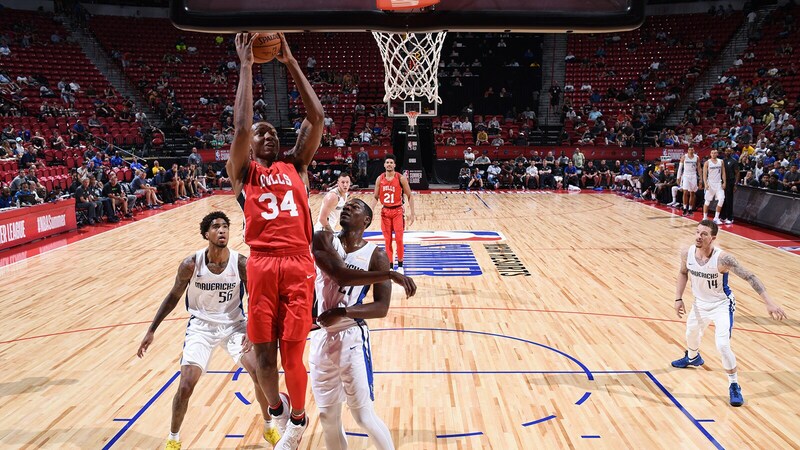 The Bulls were dominant after a slow first quarter in which the Mavericks without rookie Luka Doncic, who is skipping Summer League after playing in Europe, led 28-15. The Bulls turned the game around with a bombastic second quarter to take a 42-40 halftime lead. The Bulls then extended the lead throughout the second half. Meanwhile, Carter continues to be the talk of the summer on the UNLV campus. ESPN commentator Doris Burke remarked that, overall, Carter looked to her as the most impressive player in these games. Carter didn’t block any shots for the first time, but he continued to be exceptionally poised on offense with veteran pump fake moves and reverse scores as well as his short jump shots. He also had a steal and a pair of assists and his usual post game deflection of the queries about himself just as he bats away so many shots. “Genes working in my favor and hard work,” he shrugged about his continued excellence in the league. “The mental game really is key for me. You can come in and be physical, but so much of the game is mental, setting screens, taking the right shots. Just being patient. Carter has translated well on both ends, especially for a player who “fell” to No. 7 in the draft. As for Bulls needs, well, they sure need a guy like that.